The purpose of the Rockcliffe Park Heritage Conservation District Plan is to conserve and enhance the unique character of the Village characterized by its parklike qualities, curving roads without curbs or sidewalks, large lots and gardens, and its rich mix of housing types that conserve the established heritage character of the streetscapes and the rich landscaped settings. Because the entire Village is a Heritage Conservation District under the Ontario Heritage Act, all properties regardless of age, type, or style are subject to the Rockcliffe Park Heritage Plan. Changes to the exterior of houses, the demolition of houses, the construction of new houses or accessory buildings, and the severing of properties, require the approval of the City. 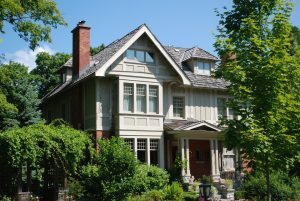 The Ontario Heritage Act requires property owners to obtain a heritage permit from the city before making alterations to the exterior of a house, adding to a house, demolishing a house, or constructing a new house or accessory building. Information is available at Apply for a Heritage Permit. Before submitting an application for a heritage permit to the city’s heritage staff, homeowners are to consult with the Heritage Committee of the RPRA by contacting heritage@rockcliffepark.ca. The Heritage Committee provides comments to the applicant and to the city on whether a proposal meets the provisions of the Rockcliffe Park Secondary Plan and the Rockcliffe Park Heritage Plan. The Heritage Committee is in place to protect and conserve properties in accord with the Rockcliffe Park Heritage Conservation District Plan and to conserve and enhance the unique character of the Village characterized by its parklike qualities, curving roads without curbs or sidewalks, large lots and gardens, and its rich mix of houses that conserve the established heritage character of the streetscapes and landscapes. The Committee provides comments to homeowners and to the city on whether proposals to alter the exterior of a house, or to add to, demolish or construct a new building or accessory building, meet the provisions of the Heritage Plan. If you are contemplating such changes, please contact the RPRA Heritage Committee at heritage@rockcliffepark.ca before submitting an application to the city’s heritage staff. See the City of Ottawa public consultations.